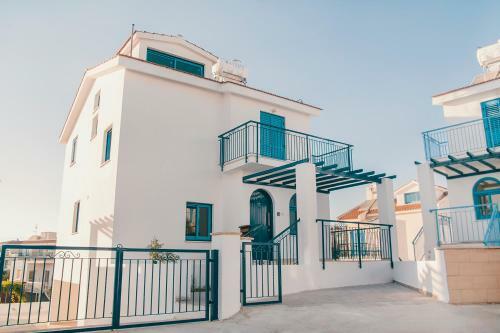 Lock in a great price for Ayios Therissos Villas – rated 8.4 by recent guests! One of our best sellers in Polis Chrysochous! Ayios Therissos Villas offers accommodations in Polis Chrysochous, 5 miles from Baths of Aphrodite and 5 miles from Aphrodite Nature Trail. 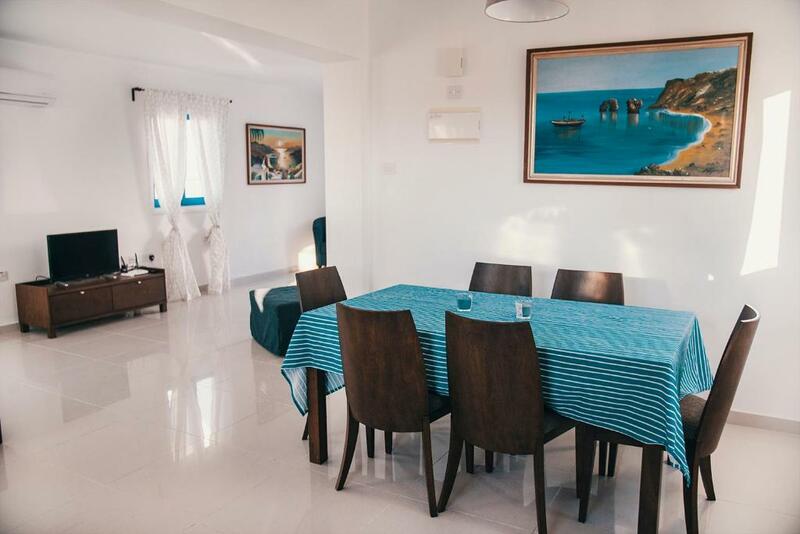 Guests staying at this villa can use the free WiFi and a fully equipped kitchen. 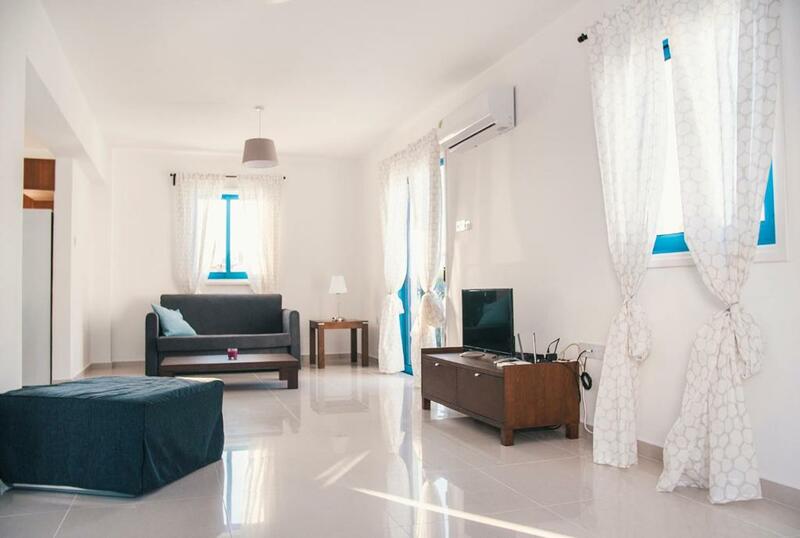 With 3 bedrooms, this villa features a balcony, a living room and a TV. The villa also comes with a bathroom with a bath or shower. When would you like to stay at Ayios Therissos Villas? My place is approximately 700 m from the beach, restaurants and dining, and family-friendly activities. You’ll love my place because of the new inside and outdoors space. My place is good for couples, solo adventurers, families (with kids), big groups, and furry friends (pets). 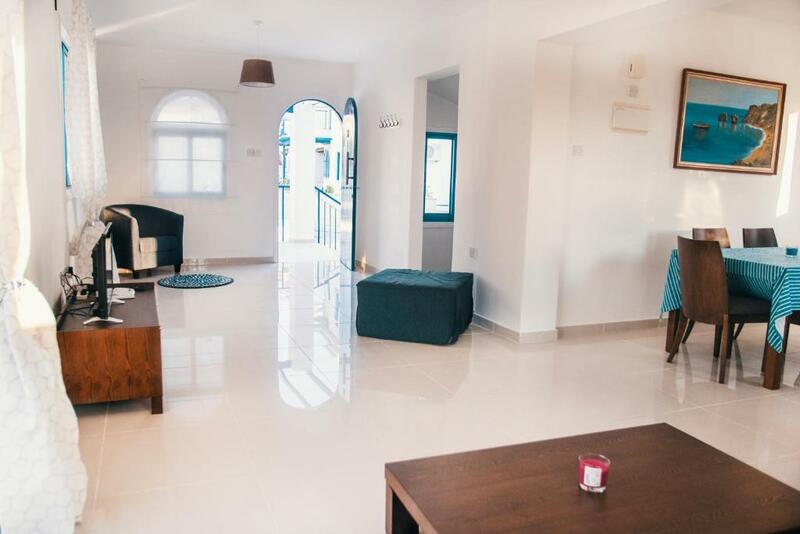 The Villa is spacious open plan living room/dining room with comfortable sofa beds, a dining table with 6 chairs and a balcony with a garden view that you can sit and relax. 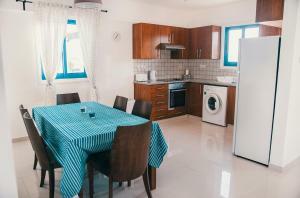 The house is only 5 minutes walking away from the beach and it is located between Polis Chrysochous and Latsi village. Only 100-200 m away you can find a bus stop, mini- market and local taverns. The closest beach (Plage) is only 2 minutes away on foot. 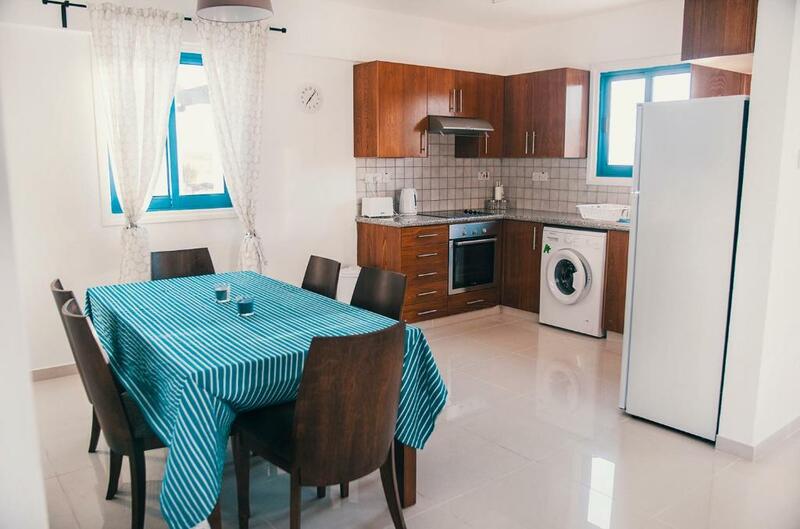 Some of the house/area features: - The House has its own free private parking that fits up to 2 cars - The house is located in a central location that guests can easily have day trips to many popular destinations in Cyprus such as Baths of Aphrodite (6Km), Turtle Bay in Lara (22Km), Avakas Gorge (24Km), Adonis Baths (26Km), Paphos Zoo (28km) Paphos Castle (44Km) and Aphrodite's Rock (60Km). The Troodos mountain range is approximately 2 hours away. We are a young couple that love to host. For that reason we decided to start hosting people in our different places. We live in Larnaca, however our parents are refugees from Famagusta which we really love. Even though we don't live in Polis, we can help you with everything you need. We can help you to rent a car or bicycle and can arrange a transfer from the airport to the accommodation, everything upon prior request. This house is a part of a housing complex. The complex name is Ayios Therissos. The neighborhood is relatively quiet since most of the people are not permanent residents but using their properties as a weekend getaway holiday. The residents are very friendly and most of the times they are more than pleased to help you with everything you need. 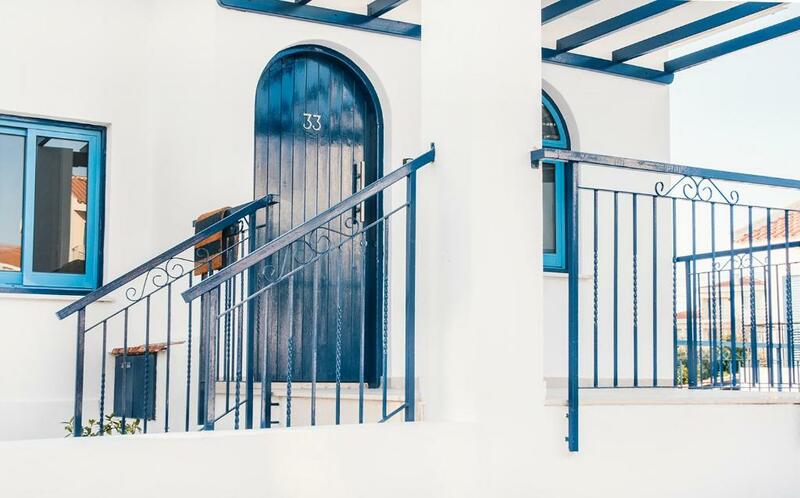 House Rules Ayios Therissos Villas takes special requests – add in the next step! A damage deposit of EUR 100 is required. The host charges this 14 days before arrival. That's about 112.44USD. This will be collected by bank transfer. You should be reimbursed within 14 days of check-out. 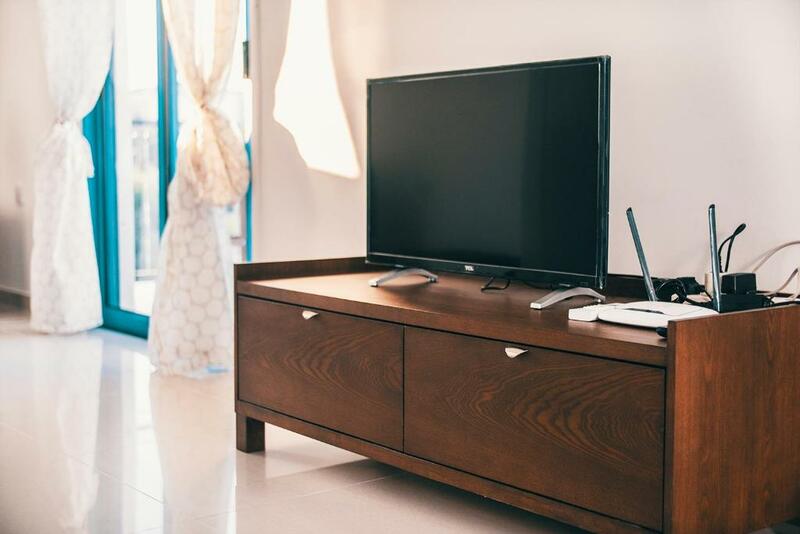 Your deposit will be refunded in full by bank transfer, subject to an inspection of the property. 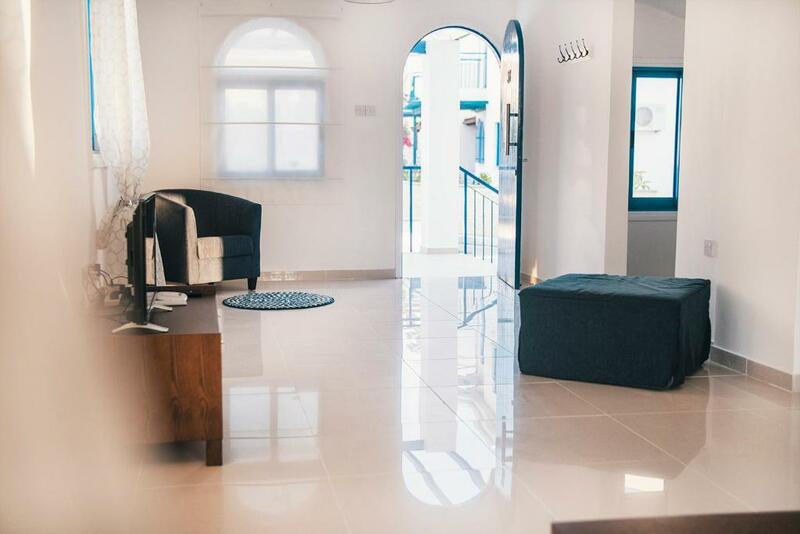 Please inform Ayios Therissos Villas of your expected arrival time in advance. You can use the Special Requests box when booking, or contact the property directly using the contact details in your confirmation. When we arrived the fridge was swiched off so it took a while to get it cool enough and we had brought food with us that needed fridge. Easy to locate it, near the beach, Polis and Latsi. Pet friendly in a quiet neighbourhood. Spacious clean bedrooms. Only one bathroom/shower for 5/6 persons which means a long wait if you are last for the shower. Could also do with a change of shower curtain and shower head. Modern villa in a quiet neighborhood. In between both Latchi and Polis Supermarket and car/buggy rental within walking distance. Villa equipped with all necessary amenities and appliances. Hosts very responsive to message.